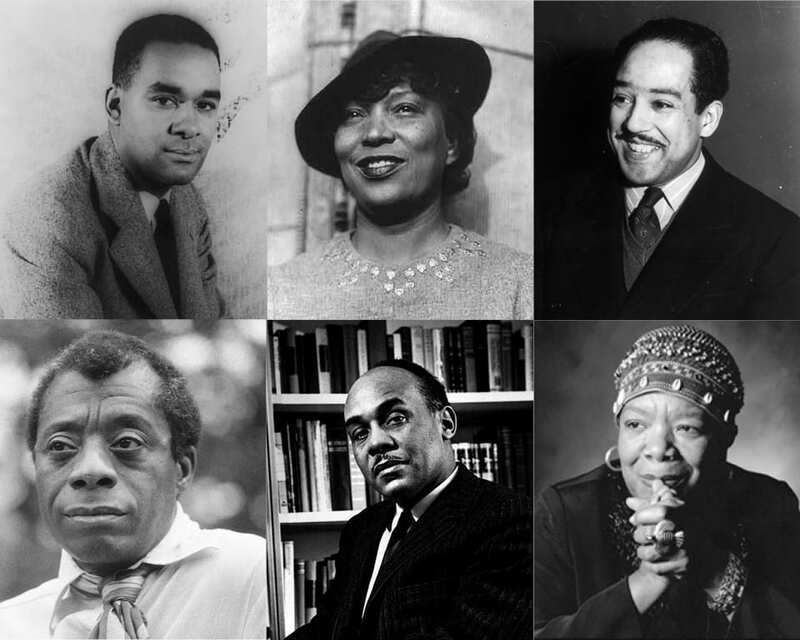 Libraries can be anything from private sanctuaries to ancient halls of knowledge, as long as they’re filled with books. 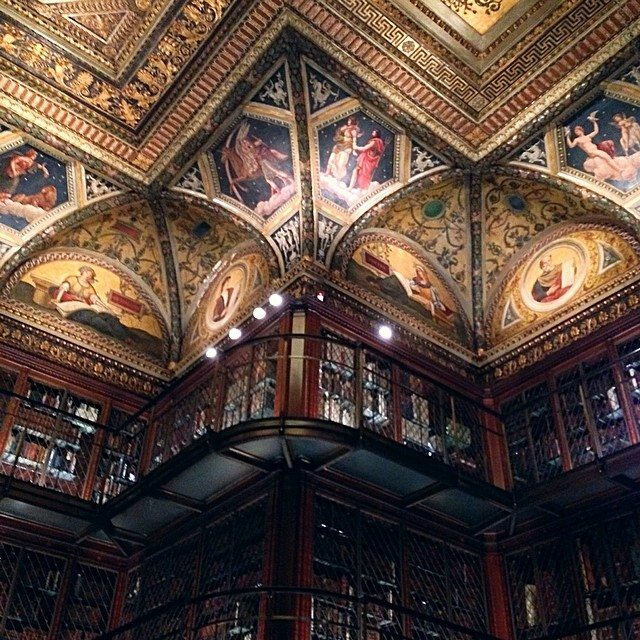 Take a look at the wonder of these 20 beautiful libraries located everywhere across the world. 1. 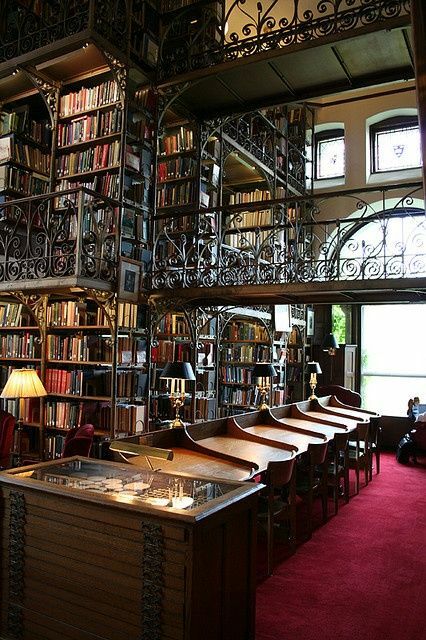 The Uris Library at Cornell University, New York. 2. 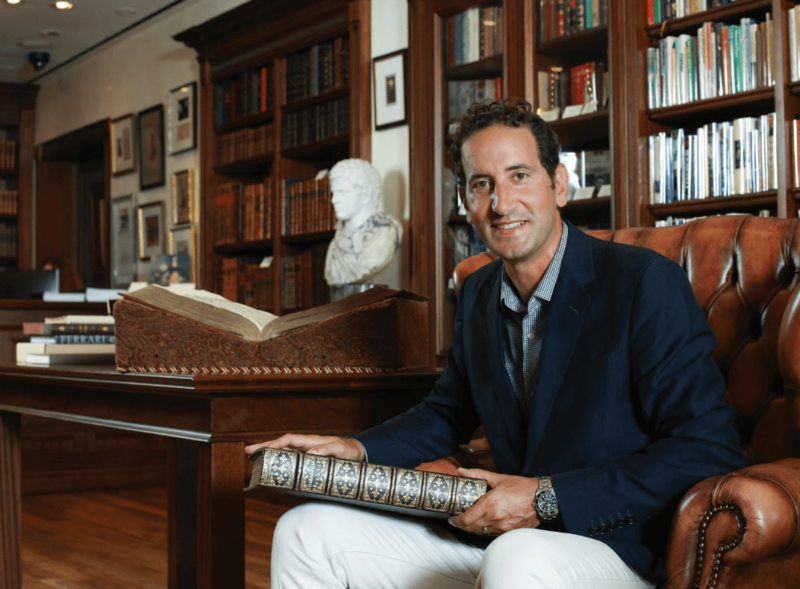 American Entrepreneur Jay Walker’s Private Library. It was so important, the house had to be designed and built around it. 3. 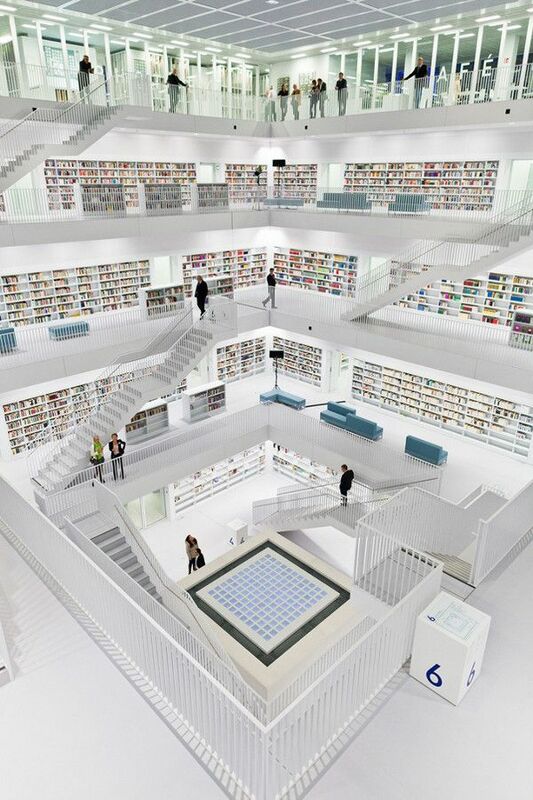 The visual center of the Stuttgart City Library with its flawless modern design. 4. 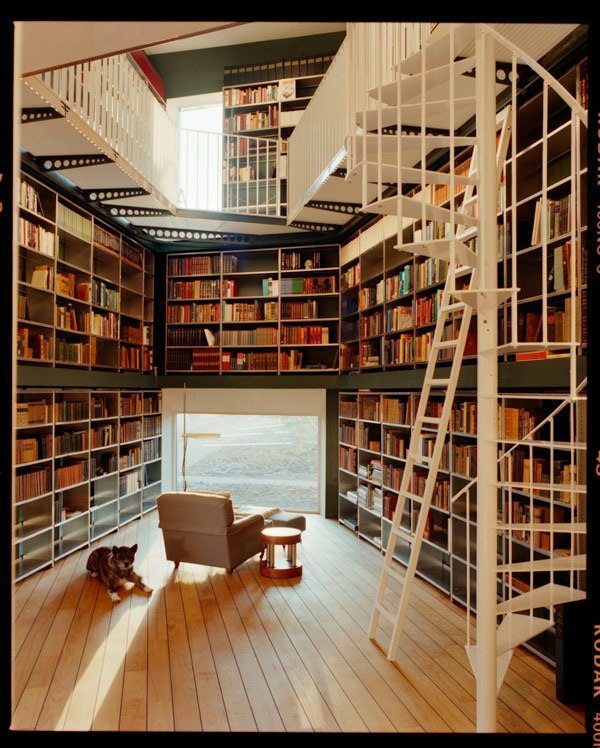 A sun-soaked home library in Belgium. 5. 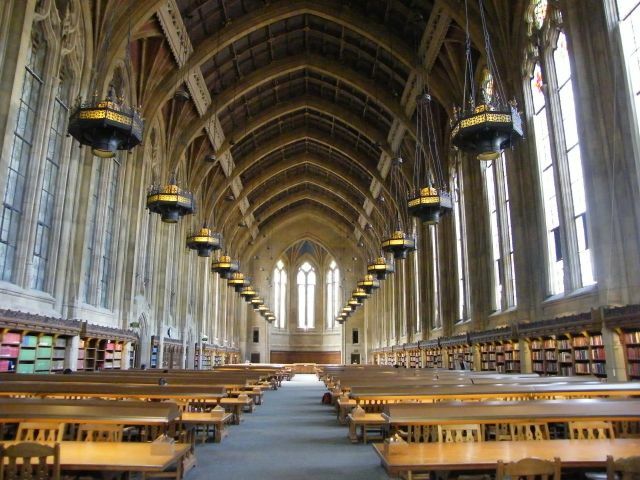 The University of Washington reading room, which actually looks a lot like the Great Hall in Harry Potter! 6. 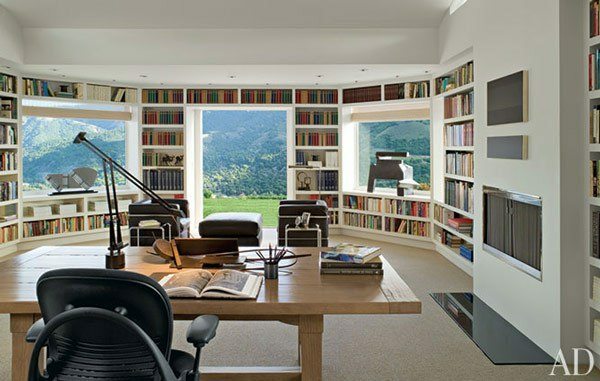 A private library in California with an amazing view. 7. Morgan Library & Museum in New York, NY. 8. 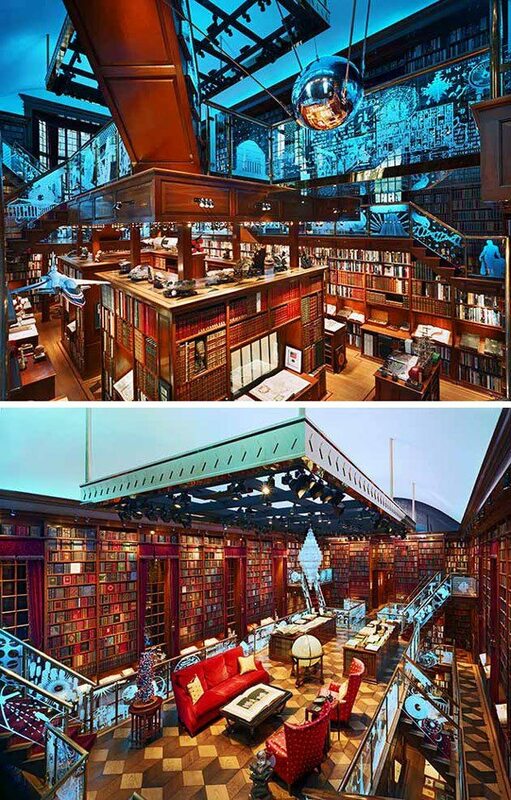 Private library designed by architecture firm, Ilai. 9. 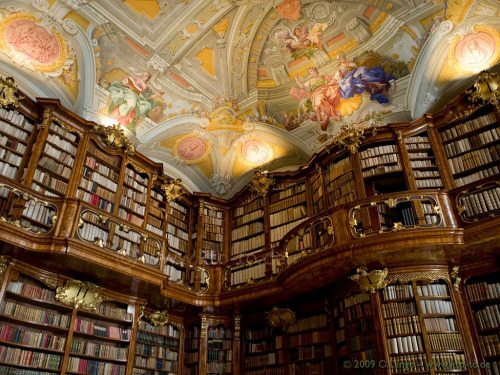 St. Florian Library, Austria. 10. 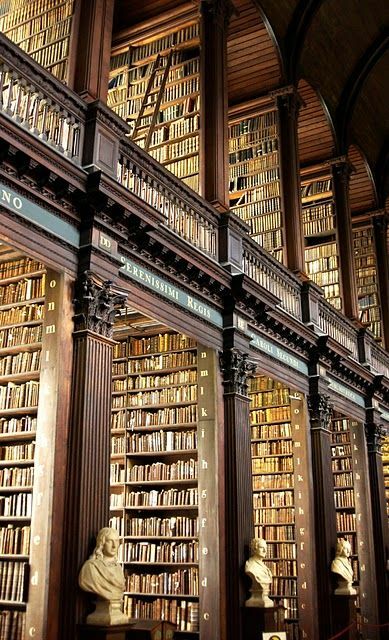 Trinity Library in Dublin. 11. 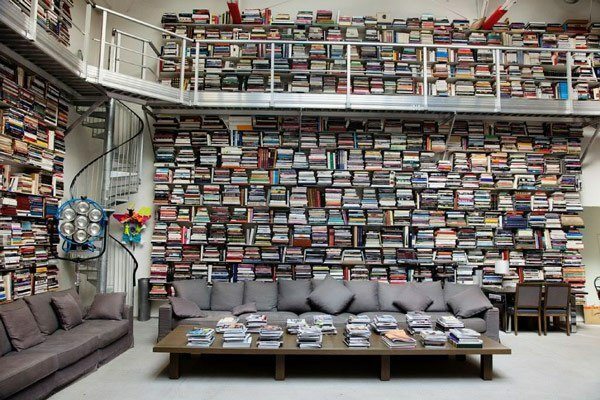 German fashion designer Karl Lagerfeld’s home library. 12. 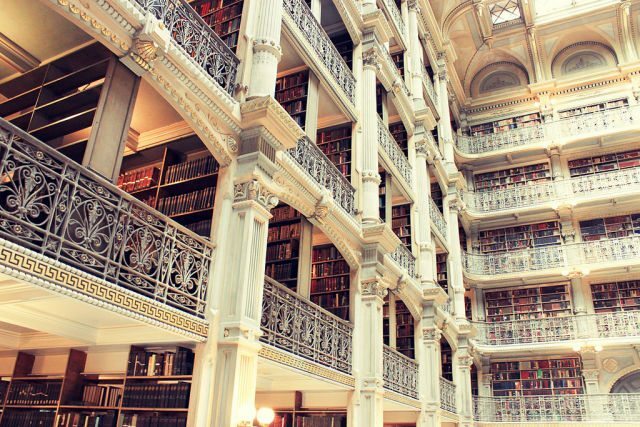 The George Peabody Library at Johns Hopkins University in Baltimore, MD. 13. 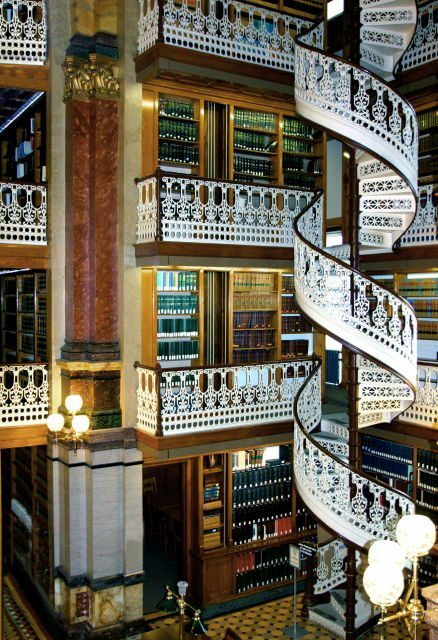 Iowa State Law Library in Des Moines. 14. 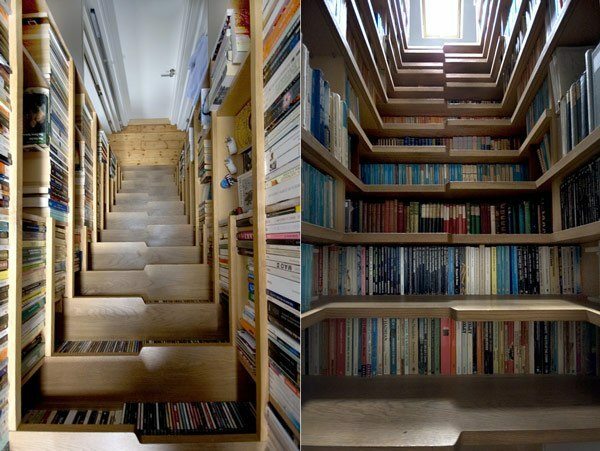 An innovative library staircase designed by Levitate Architects in London. 15. 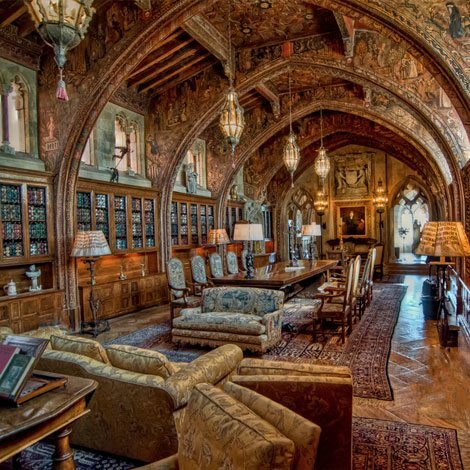 The Gothic Study in Hearst Castle in San Simeon, California. 16. 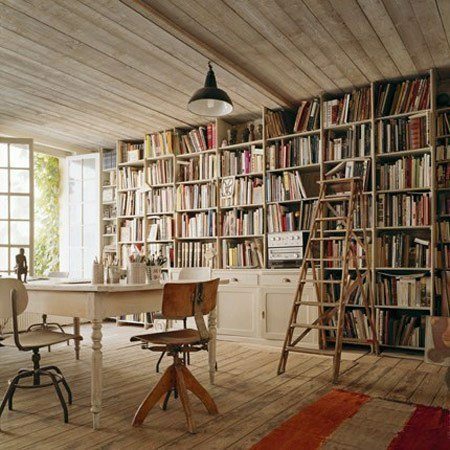 A filmmaker’s private library in Seattle. 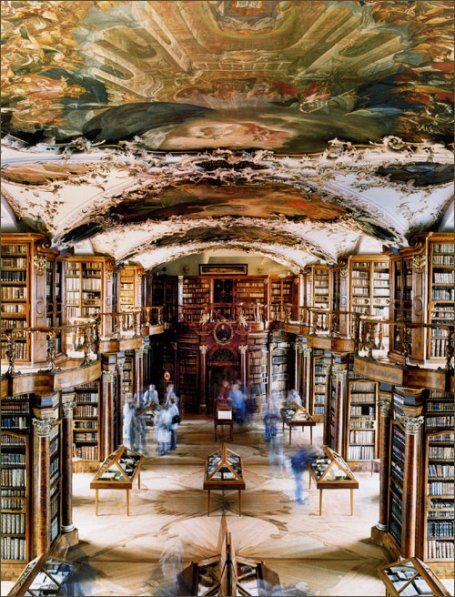 17.Melk Monastery Library in Melk, Austria. 18. 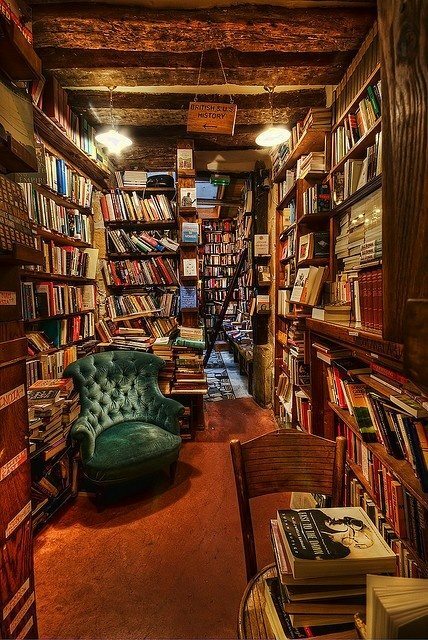 This cozy secret library with beautiful chairs. 19. 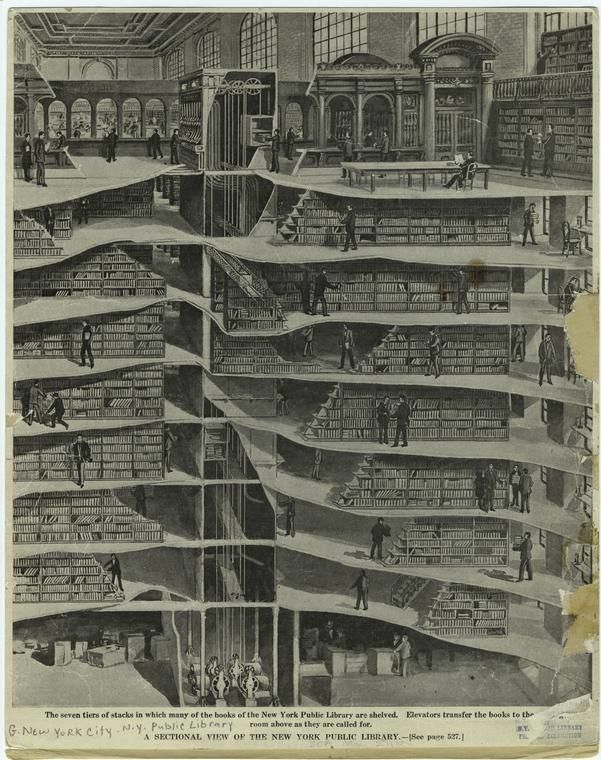 New York Public Library underground levels. 20. 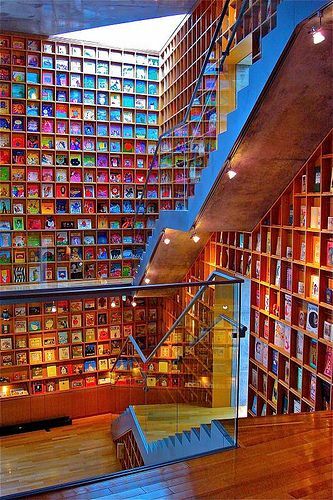 And the Iwaki Museum of Picture Books for Children in Fukushima, Japan.